Have you ever taken the time to go through your stash and get inspired by something that you forgot that you had? That happens to me a lot, which is why I always tend to "play" in my supplies when I am in a creative slump. The latest result was finding a paper pad from Basic Grey, perfect for cards! 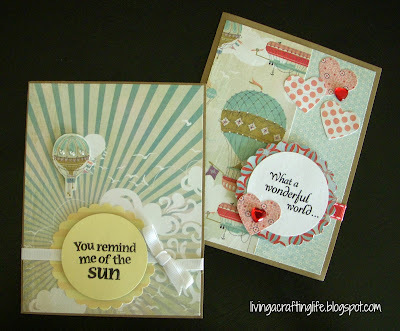 These two cards use a kraft cardstock for the base, printed patterns for the card fronts, punches and a couple gems and ribbon for the other embellishments. The insides of the cards are also decorated with some patterned paper. I love how these two cards turned out! I have so many of these vellum sayings in my stash, and I can never find a good way to use them. 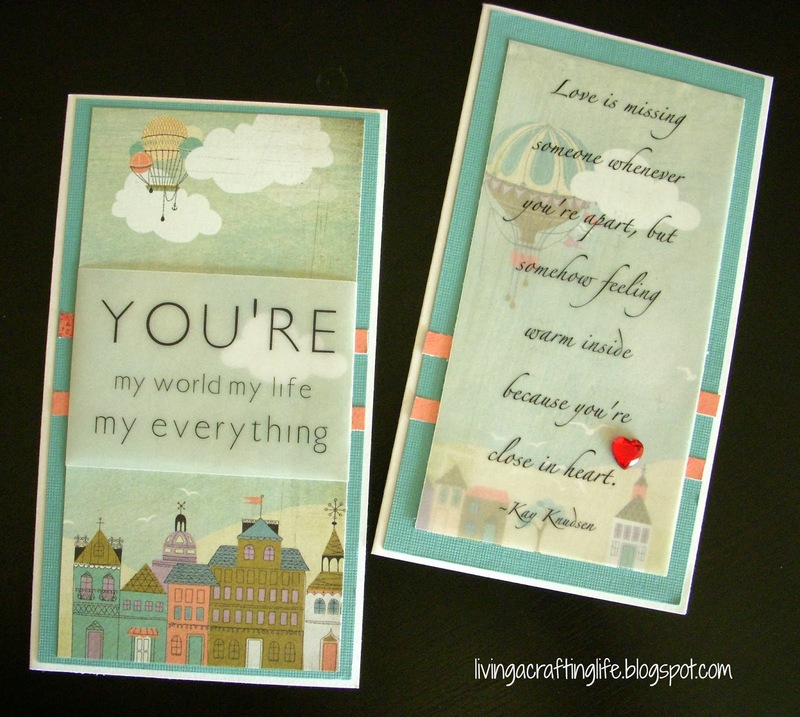 Two of the sentiments were perfect for this themed paper, so I decided to go with 3-1/2" x 6-1/4" cards, layering the vellum for a special effect. 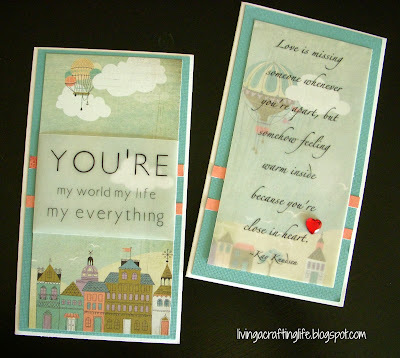 With this patterned paper, there really isn't any need for additional embellishment! 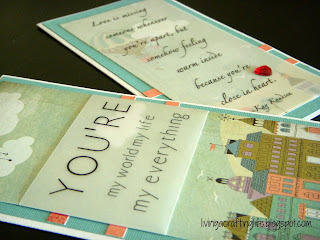 Again, I used matching paper from the paper pad to decorate the inside of the cards to give them that extra-finished look. These cards will fit in the #6-3/4 (3-5/8" x 6-1/2") business envelopes, which you can find in most any office supply store. My local OfficeMax is where I purchased a box of 100, which will last me quite a long time. Maybe I should make this size more often! What card size do you use the most when making cards? What size would you like to try?